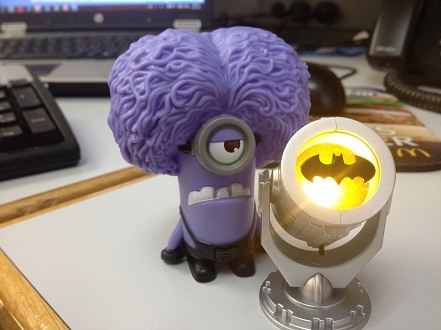 My purple minion (from a McDonald’s Despicable Me 2 Happy Meal) is manning the Batsignal. Your argument is invalid. Despicable Me really got the character designs for the minions done right. They are absolutely perfectly “cast” for the movie. Posted: August 15th, 2013 under Featured Artist, Movie TV, Photography. So where is the Joker-minion & Bat-minion? Hehe . . Bat minions would be cool!